You guys know that I am committed to living a more responsible and environmentally-safe lifestyle. Part of that commitment was to swear off leather goods. Leather goods take a lot of energy and toxins to be produced. I switched to vegan leather which some people argue is just as bad…. hmmmm…. What’s a chic girl like me going to do? The answer: Buy vintage handbags! 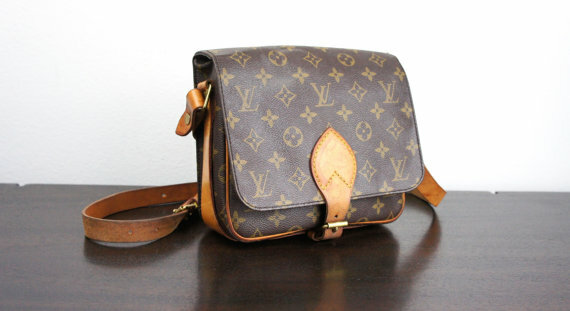 Buying vintage handbags is not bad, is GOOD! Is better for your wallet, the environment and fashion. Vintage is another way of saying “used”. I have no problem using a vintage handbag if is in good condition. I’m proud of the fact that I am not responsible for the creation of more toxic waste because of my need for carrying a designer bag around. Come to think of it, is just vanity not necessity that drives me to buy designer. Classic designer pieces never go out of style. I just love Stella MCCartney, LV, Givenchy, YSL, Chanel but I refrain from buying new out of my principles until now. FashionFhile – This company even has physical consignment stores in several cities in California. All the stores above have a designer authentication guarantee. I bought an LV and took it to my local LV store to have it checked out and sure enough the bag was authentic. Refuse to participate in this consumerism hell that is destroying the planet. Go vintage! This entry was posted in My Self, My Style and tagged designer handbags, shopping, vintage.